Nothing makes me both happy and sad at the same time than looking at my loot. This month I got a couple of figures. 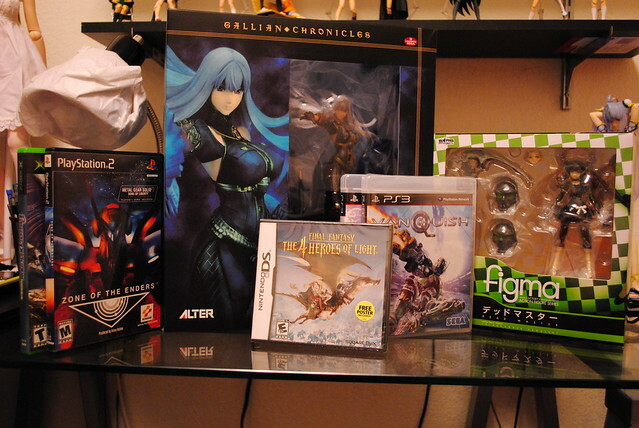 The awesome Selvaria Bless from Alter, I said it many times before already but go give Valkyria Chronicles and its sequel a try if you own a PS3 or PSP. Also got the cool Dead Master, I really like her design much more than BRS. 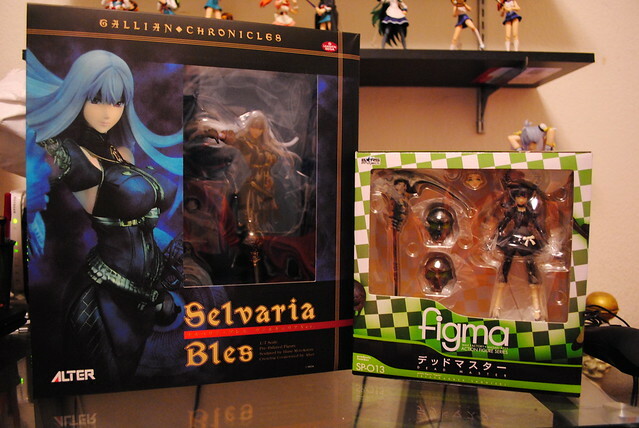 So, I couldn't pass up on the figma nor the scaled version next month. 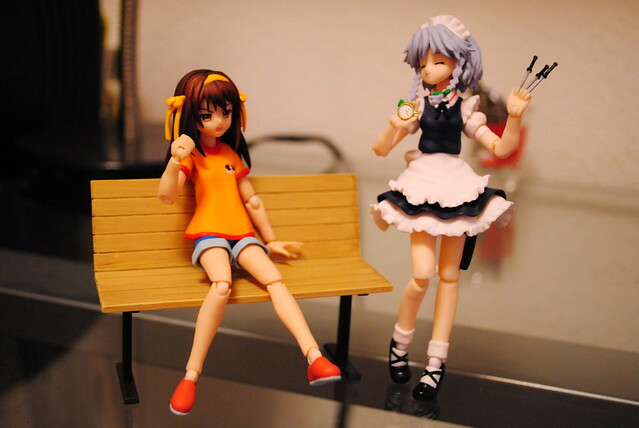 Earlier this month I got loli Haruhi and snapped a few pictures with her. Late September or so I received Sakuya, my first purchase from Otacute. I gotta say that it was a bad first impression. Sakuya was listed for $29.99, I reserved her for that price, got invoice for that price, and I payed that price. Then another email from Otacute demanding another $10 because they listed the wrong price. Pretty much a ransom for a product that I had already paid. It doesn't bother me that they made a mistake or that they raised the price. What does bother me is that Otacute demanded the extra payment after I had already payed the price they had listed in my invoice. Not that it matters, in the end I will continue my business with them since Otacute is the only place where I can reliably get the Touhou figmas and nendos. 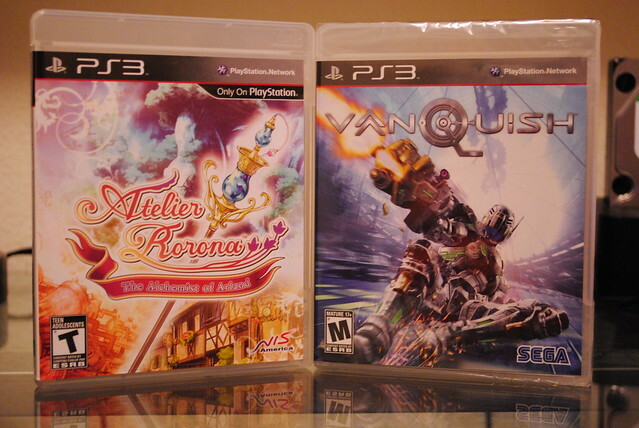 Only a couple of PS3 games this time. The awesome Vanquish from the guys at Platinum Games, I beg of you, if you like action games buy it. Platinum Games goes and creates a unique game that builds upon well established gameplay elements and expands on them and people just ignore it. Instead buying the sequels that will have no problem selling enough copies. 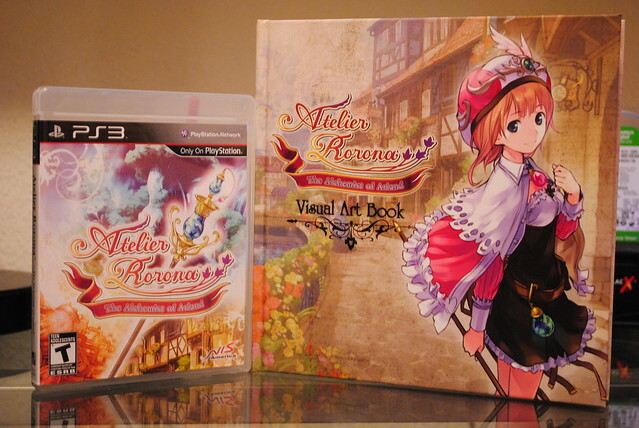 Also picked up Atelier Rorora, part of GUST's Atelier series that debuted in the west back in the PS2 with Atelier Iris. Atelier Rorona is GUST's first full 3D game, all the ones before had been spite based. I got to mention, Atelier Rorona was an unplanned purchase it's all Radiant's fault. I did not know there was a special edition that included an art book and the soundtrack if you bought the game directly from NISA, the publisher. Sadly that was sold out, but Gamestop carried the art book too but not the soundtrack. To ensure that I would get at least the art book I rushed out to buy it. I don't regret it one bit, it is the latest game I been enjoying lately on the PS3. 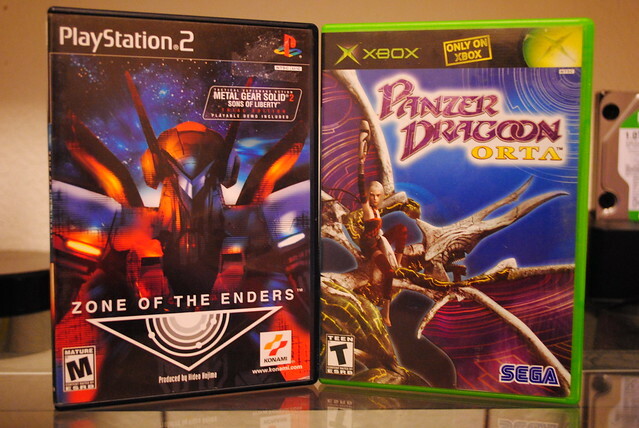 I picked up Zone of the Enders, a wonderful non Metal Gear game produced by Hideo Kojima. While I had already played it and finished I never owned a copy and when I saw it for dirt cheap I bought it. Quick history lesson, in the mid 90s Sega launched the Saturn. It failed horrible but it still had its share of excellent games, most of which did not came over to this side of the pond. One that did though was the Panzer Dragoon saga. Both the Saturn and game cost more than I'm willing to pay for them. Luckily for me Sega released a sequel on the original Xbox that includes an unlockable copy of the original Saturn game. 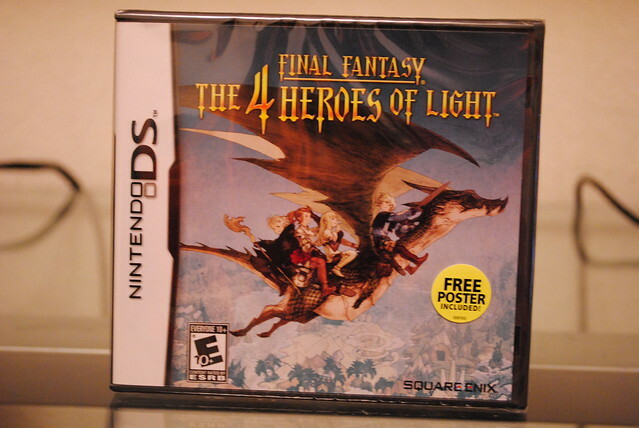 Lastly, I pick myself a copy of Final Fantasy The 4 Heroes of Light. Charming old school styled RPG. For those that complained about FF13 you can't get anymore straight up RPG than this. Somehow it feels like less than last time, but I'm pretty sure it wasn't any cheaper.